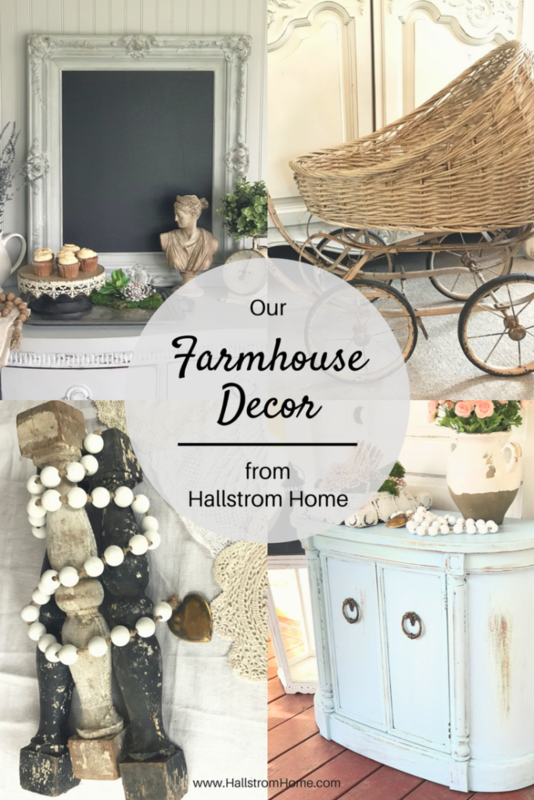 Shop Our Farmhouse Decor from HallstromHome. We have many antiques and also up-cycled products to offer. I love creating the perfect home decor to make your home feel special and unique. Many of my pieces I like to keep original with no updating. This chair is perfect the way it is! The chippy chair has to be one of my faves, it is just so chippy! You can find this gorgeous piece here. 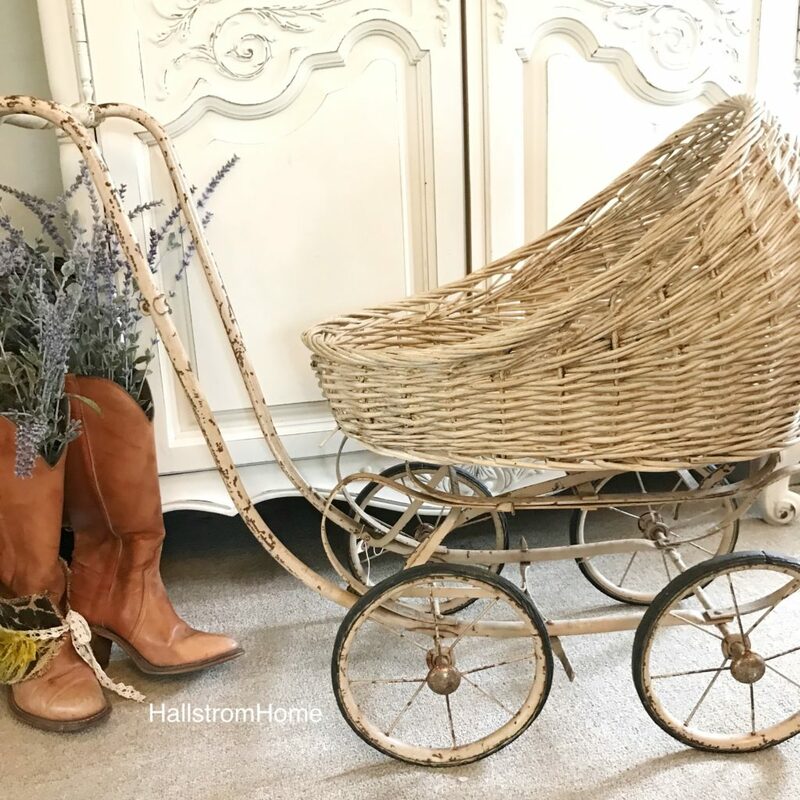 This wicker stroller I did nothing to, it is amazing! I think this would be great for photo shoots, or even some granddaughters that would love to use this with their dolls. It is no longer available, but we have many antique items that are stunning. Shutters are my thing! If I see one I always want to get it. 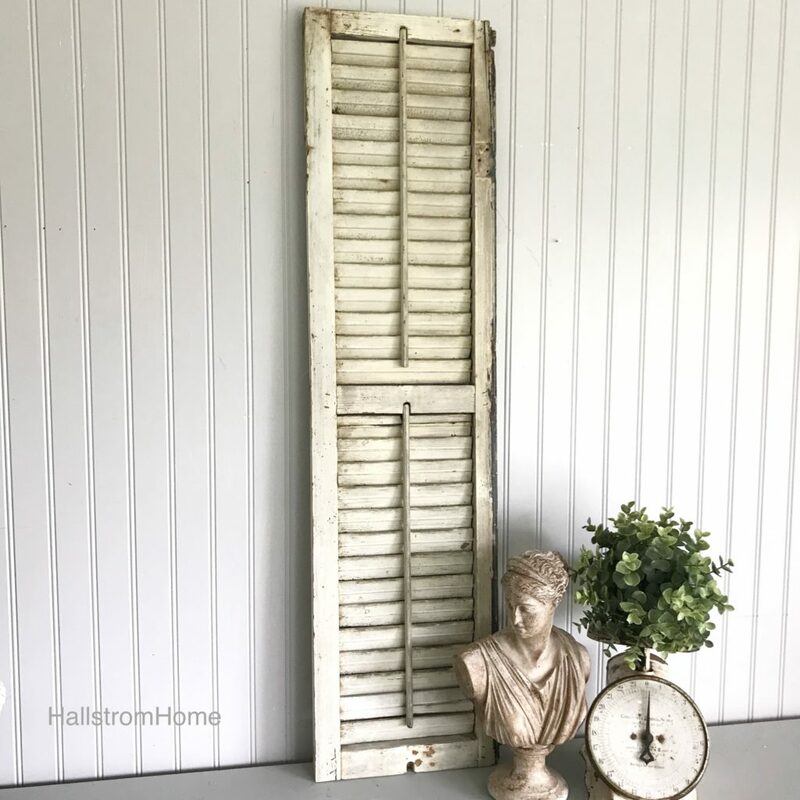 I think shutters are a great piece to add to any room to give it a farmhouse look. Check out this antique shutter. I updated this antique chalkboard. Sometimes you want to be unique and different, so I like to add special touches that no one else has. I have a fun tutorial about chalk painting with dark wax! 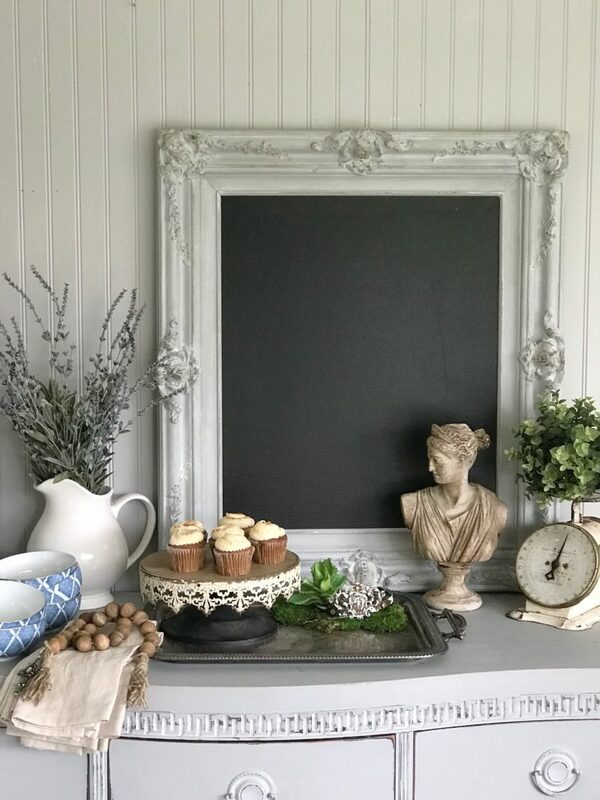 You can find my favorite farmhouse chalkboards in my shop! I also updated this antique piece. 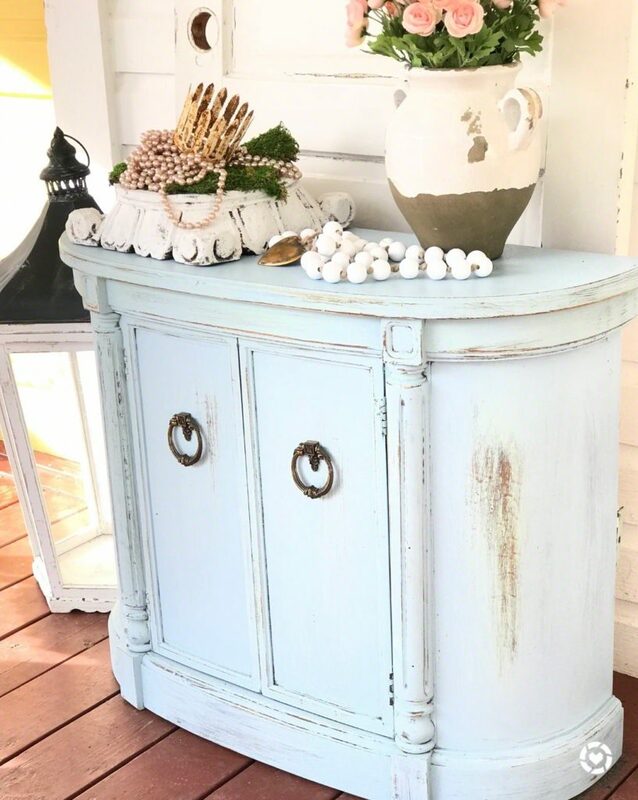 This works great as a little nightstand or side table. I have another fun tutorial on chalk painting with Vaseline. You an find this blue night stand in my shop. Here are some of my own creations. 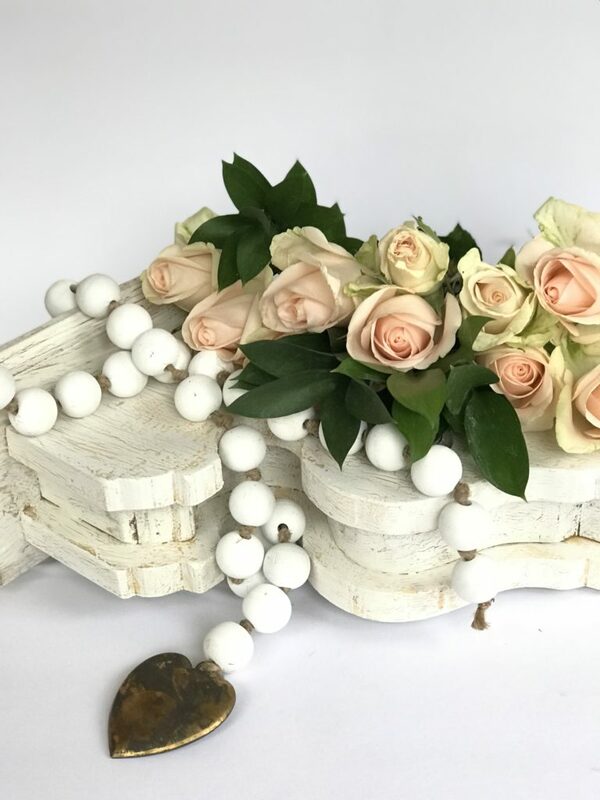 Wood bead garlands are so fun to make! I have many different varieties offered in my shop. I also have a fun tutorial on how to make the wood bead garland, here is a video tutorial. Do you see that corbel? Well my 13 year old daughter makes those!! Can you believe it? Shop custom corbels in my shop. Here is a blog post on how to paint wood corbels and a video too. Ticking stripe pillows are something I love to offer in my shop. 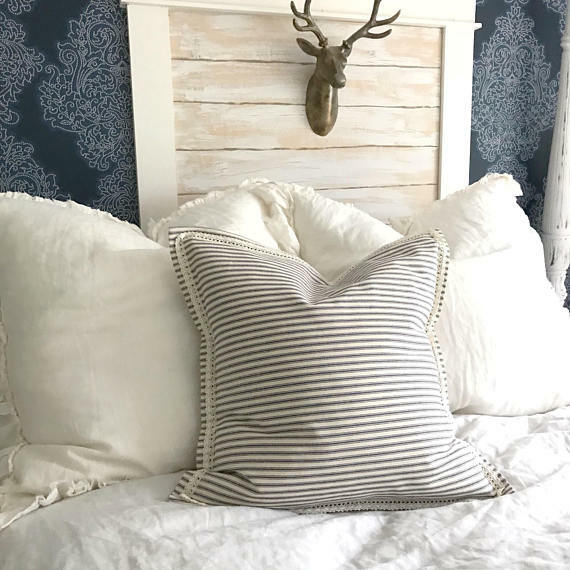 They are the perfect throw pillows and they add a nice modern farmhouse touch. Hallstrom Home also offers a ticking bolster pillow too! One of our newer and popular items is our custom coat racks! We offer many sizes and you can get custom colors. These are perfect for anywhere in the home, such as a bathroom, mudroom, or living room. 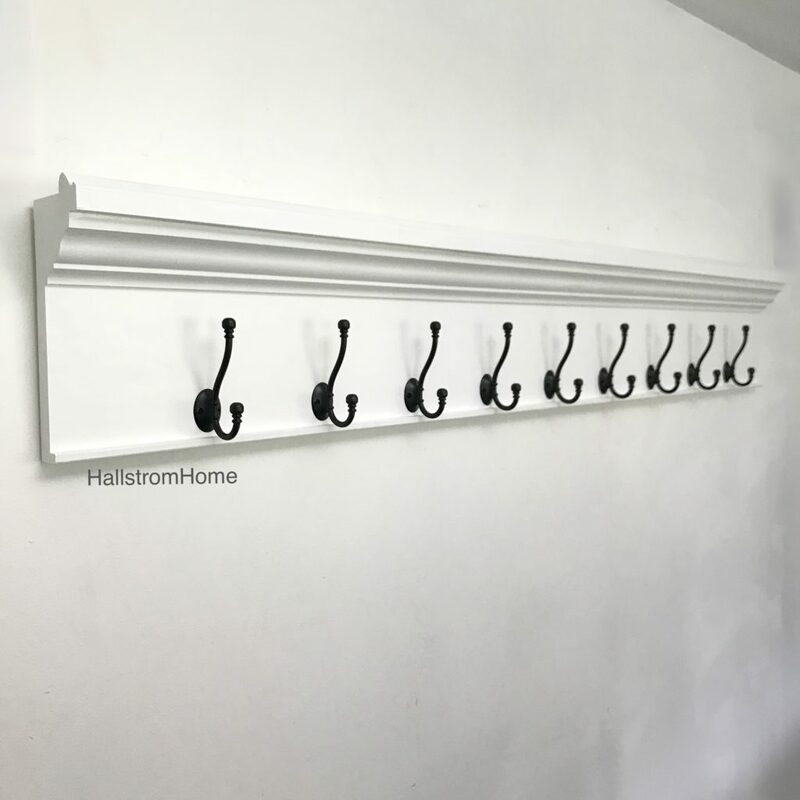 Check out how I style our custom coat racks. 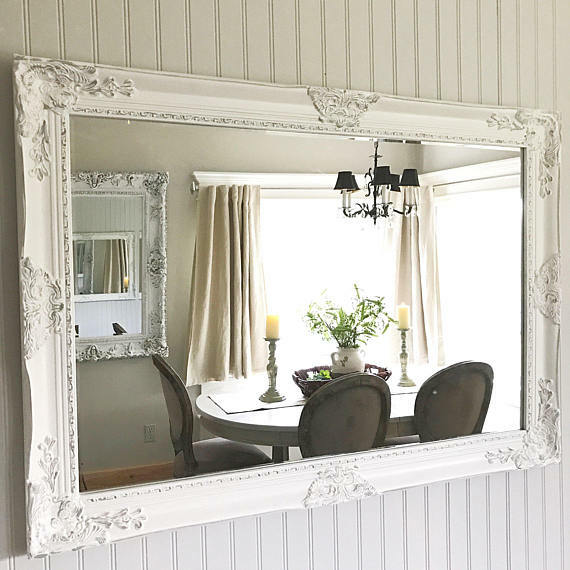 Of course my custom mirrors are great for farmhouse decor! I have so much to offer and custom colors can be chosen. 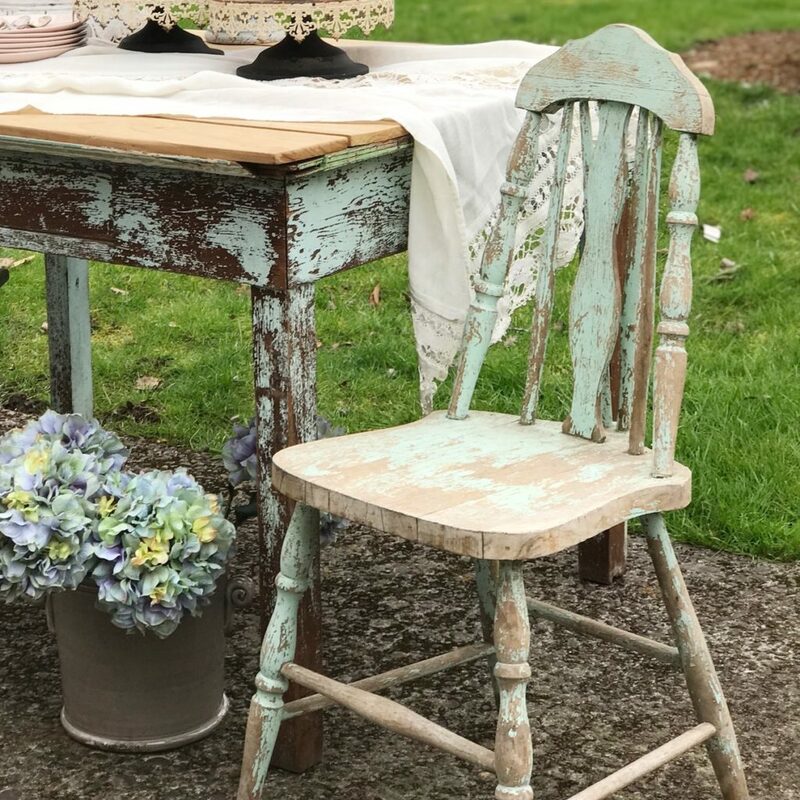 Let me know what some of your favorite farmhouse decor is! Be sure to check our the farmhouse decor section in my shop for so much more. Thank you Cindy all that is so much fun to do! Thank you for doing what you do, I have learned alot! Frances that really means a lot! Thank you. Thank you I’m glad you enjoy! Waiting for Wednesday to shop. Shopping is always the best! I love your little touches throughout your home ???????? 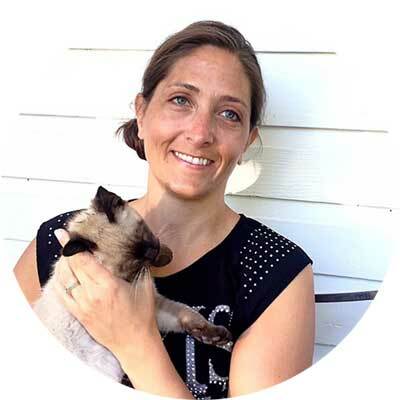 Thank you for sharing photos, links… it’s beautiful! Love everything on your blog. The ideas. The sharing. The photos. Look forward to your IG stories and posts! Thank you Lauri I’m glad you enjoy! Love all your photos on your blog. So beautiful and inspiring. Such great pics! I love that you gave the tutorials.